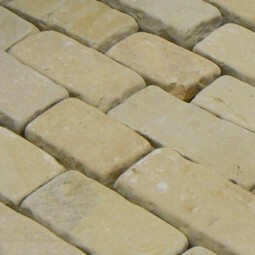 A full pack of beautiful tumbled green sandstone setts containing 7.1m2 of coverage. These setts are sized at 100x150-300mm at a random depth of 60-80mm. 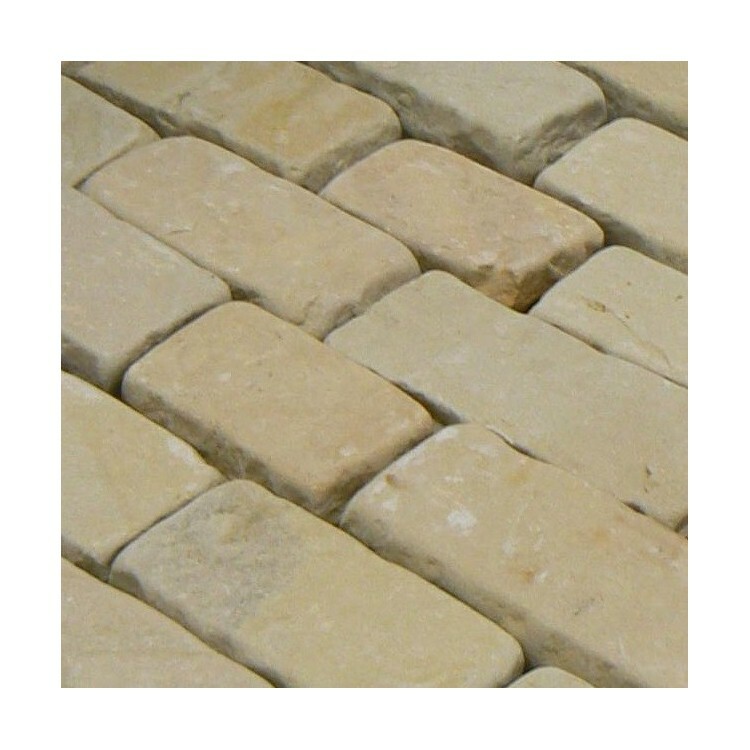 These tumbled sandstone setts have a riven top surface that lends itself well to traditional-style landscapes. The products have undergone a tumbling process to create an aged and authentic look that will add olde-worlde charm to any garden design. Ideal when applied as setts or walling, our tumbled green sandstone setts are random in length between 150-300mm to ensure they retain their unusual and intriguing appearance when laid.